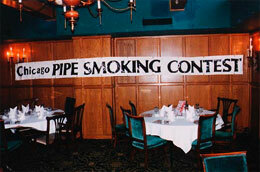 Please Join us at O’Briens Restaurant & Bar on Sunday March 10th, 2002 for the 22nd Annual Chicago Pipe Smoking Contest sponsored by Up Down Tobacco & the Up Down Sons of Briar (S.O.B.’s). 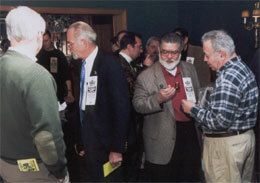 Established to preserve and promote the fine art of pipe smoking, this time-honored competition has tripled in size since its humble beginnings 22 years ago to become one of the largest and most famous pipe smoking contests in the world. 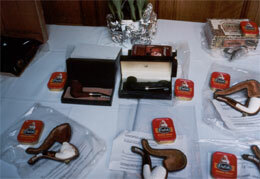 How it works: Each contestant is given the exact same amount (3.3 grams) of tobacco, two matches and one minute to light their pipe. After the one-minute mark has passed you are not allowed to re-light it at any time. 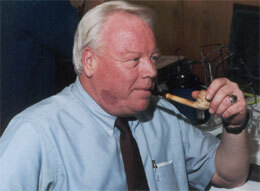 The last person still smoking is the Champion. 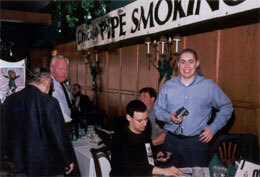 Whether you’ve been smoking since the day you were born or you’ve never smoked a pipe before in your life you’re sure to Have a good time, Make new friends, and Win a Super Prize at the 22nd Annual Chicago Pipe Smoking Contest Sunday March, 10th, 2002 at O’Briens Restaurant & Bar 1528 N. Wells, Chicago. 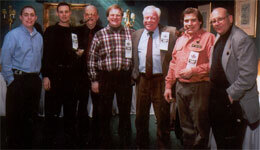 This contest has a limited number of entrants and is open to established pipe smokers who are customers of Up Down Tobacco or friends of Diana. 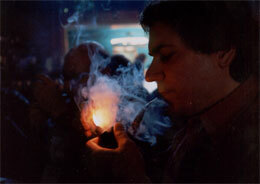 In order to compete you must pre-register, in person at Up Down Tobacco 1550 North Well street in Chicago. SPECTATORS BOTH WELCOME & ENCOURAGED! 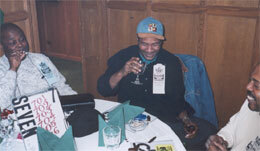 Congratulations to this year's winner, Robert Jones, who smoked for 1 hour, 2 minutes and 37 seconds! WOW! 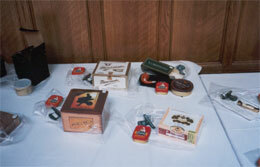 The S.O.B. 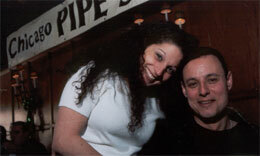 's pose with Skip Melnick, M.C. 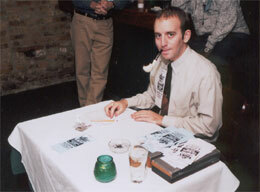 of the 22nd Annual Chicago Pipe Smoking Contest. 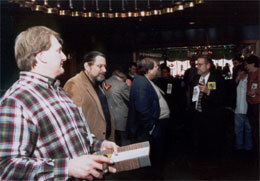 The contestants mingle before the Contest Begins. 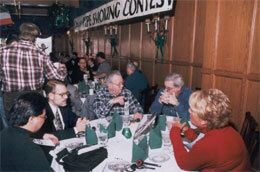 The Contest Room at O'Briens Restaurant. S.O.B. 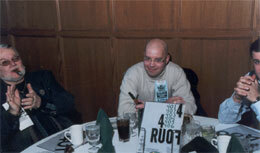 's Paul Gurfinkel and Carl Hurley at table 1. 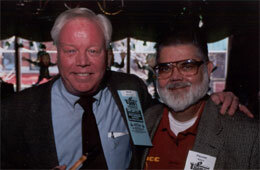 Skip Melnick poses with Frank Burla, proprietor of the Frank P. Burla Antique Pipe & Tobicanna Museum and the Chicagoland Pipe Collectors Club. 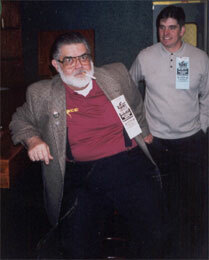 Skip poses with Dave Morovitz. 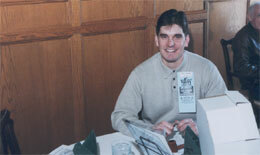 Up Down's Phil Ledbetter working the registration table. 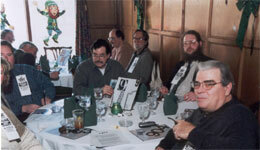 Jim Stefo (right) and Paul Hendrickson (center) keep an eye on the always boisterous table 9. 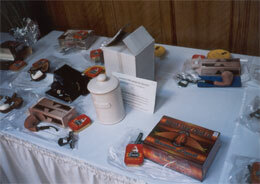 Contest M.C. 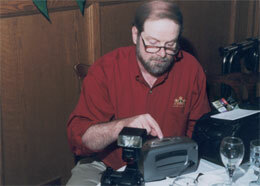 Skip Melnick strikes a pose. S.O.B. 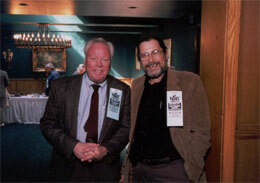 's Marty Bader and Carl Hurley are all smiles when there's a camera around. 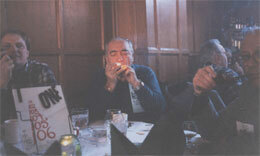 Frank Burla and Matt Binder. 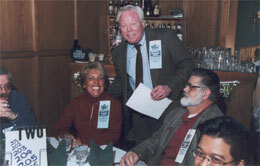 Otto and Jennifer from O'Brien's Restaurant. 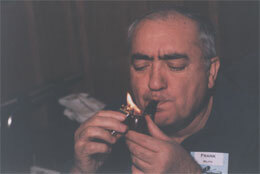 Frank Milito, owner of Orso's Restaurant, Lighting Up. Gentlemen, you may start your engines. 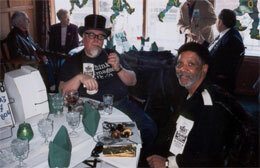 Contest Winner Robert Jones toasts the crowd. 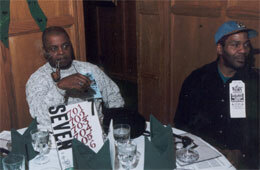 Jerome McLaughlin, aka the Captain, at the helm of Table 8. 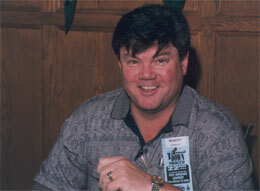 Jeff Moran of Lane Limited. 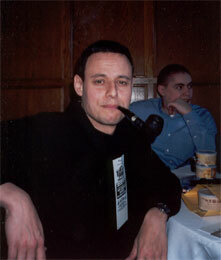 Anderson Jones, 21st Century Pipe Smoker. 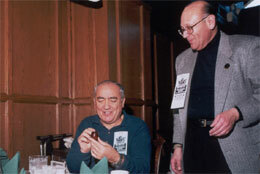 Frank Milito and Sons of Briar President Paul Bender compare bowl packing techniques. 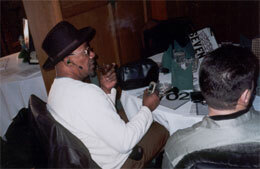 Do not adjust your screen, it really was that smokey in the contest room! 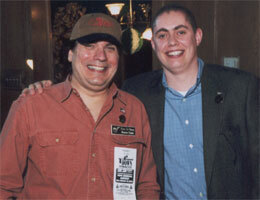 Official Contest Judge Matt Binder from General Cigar Co. 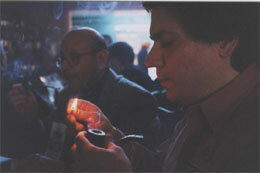 When it comes to meeting women, nothing beats a Pipe Smoking Contest . Jeff Moran and Margo go over some last minute notes. The crowd storms the field. 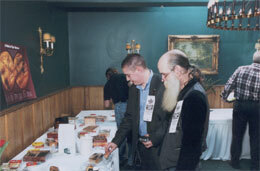 Official Contest Judge Mike Walter of Ashton Distributors, Inc.
Carl Hurley and John Causgrove review the prize table.